England international Harry Maguire has quelled the recent speculation over his future by penning a fresh five-year contract with Leicester City. The centre-back was strongly linked with a move to Manchester United during the summer transfer window but a deal never materialised with the Foxes refusing to listen to offers. Maguire has witnessed a drastic development over the past 12 months but none of this would have happened, had the Foxes not pursued him from Hull City. 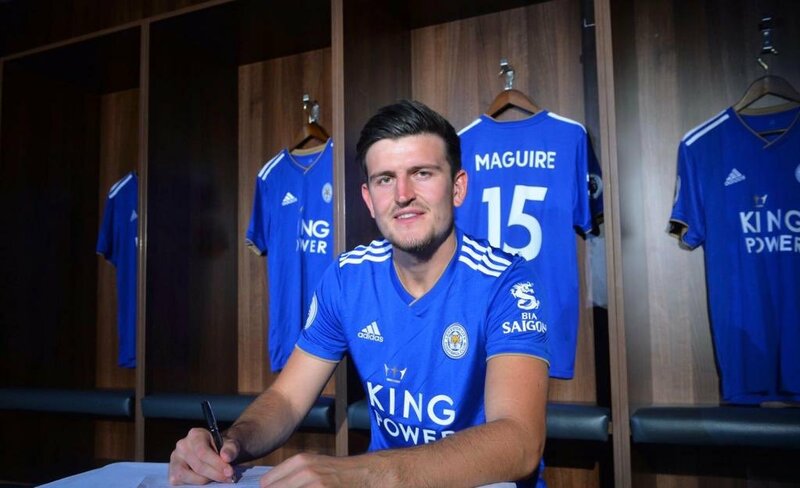 After an impressive 2016/17 season, Maguire was offered the chance to return to the top-flight with the Foxes and he has certainly taken the opportunity with both hands by becoming a regular for club and country. As a result, there has been plenty of gossip regarding his future with the east Midlands outfit but the current extension should keep him at the King Power Stadium for the next couple of years at the least barring a strange change of events. At present, Maguire is on international duty with the Three Lions and he most recently participated in the 2-1 defeat to Spain in the Nations League opener. Maguire could once more feature for the Three Lions when they take on Switzerland in a friendly at Leicester City’s homeground on Tuesday night.